WWE 2K19 is a wrestling game based on WWE and NXT licences. The game boils down to arcade duels with the use of an extensive combat system. 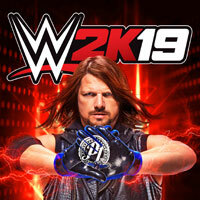 WWE 2K19 is a sport game with wrestling theme, which is the next installment of the most popular cycle in this category. The production was developed by Japanese studio Yuke's, which is also responsible for the earlier parts of the series, as well as the UFC Undisputed brand. The game traditionally uses WWE and NXT licenses, allowing us to control the wrestlers well known from television coverage. The focus of the game are the ring clashes, during which we can use a wide range of blows, tricks, throws and special attacks. WWE 2K19 offers a wide range of gameplay modes for both single and multiplayer. The well-known and popular MyCareer option returns, allowing you to lead the selected player from modest beginnings to a leading position in the federations, which also involves with considerable fame and fortune. We can also test our skills again in the Road to Glory, where we compete with other players to qualify for pay-per-view television competitions. The WWE 2K19 is based on the improved version of the engine from last year's edition, the WWE 2K18. The game offers high quality graphics, with very faithfully reproduced players and refined animations.